General Gray was the 29th Commandant of the Corps and recognized member of the NSA Hall of Fame. The outstanding reputation held by Marine Corps tactical signals intelligence (SIGINT) units today can be directly traced to the pioneering efforts and accomplishments of General Alfred M. Gray over four decades of distinguished service. In his early career, General Gray built on the Marine Corps SIGINT experience of World War II and the Korean War to restructure USMC cryptologic operations and develop doctrines for SIGINT support to combat units. His early work and establishment of two units, one assigned to Europe and the other to the Pacific, formed the nucleus of what is known today as the Marine Cryptologic Support Battalion. 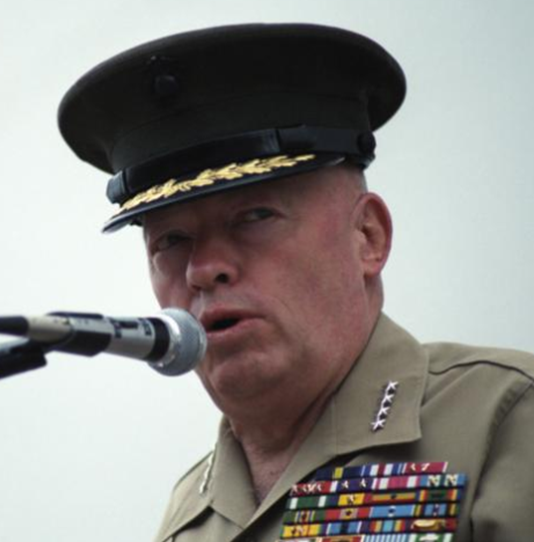 Throughout the 1960s, General Gray emphasized training for Marine Corps SIGINT personnel and the development of high foreign language proficiency. At USMC headquarters, General Gray oversaw the creation of concepts for direct support activities, and in 1962 commanded the first Marine Corps ground SIGINT unit to deploy to South Vietnam. He implemented and refined doctrine and practice for direct support to combat units in the war in Southeast Asia. In subsequent tours, he helped establish an all-source intelligence center that significantly enhanced intelligence and operational support to combat forces. Happy 88th Birthday General Gray! Good article on an outstanding Marine! Semper Fidelis!